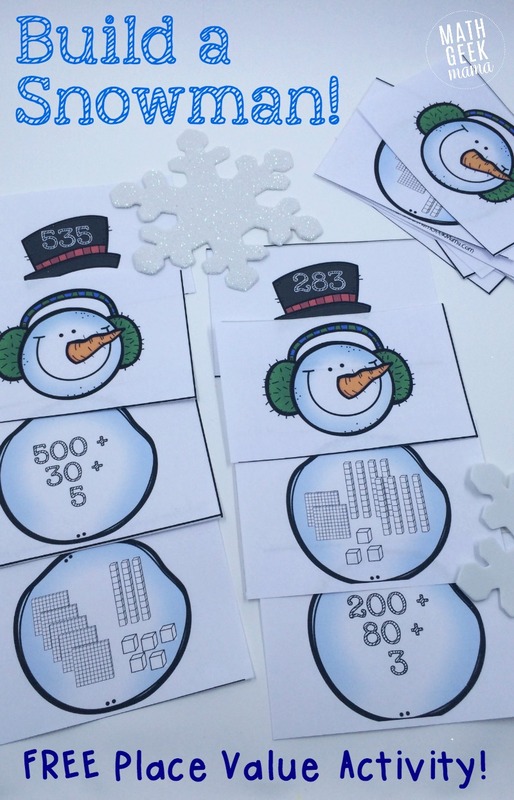 Simple Snowman Themed Place Value Activity! My kids are super ready and excited for a winter full of snow. They are determined to go sledding (our yard is very hilly) and build a fantastic snowman. The only problem? It’s been in the 60s and 70s all December. 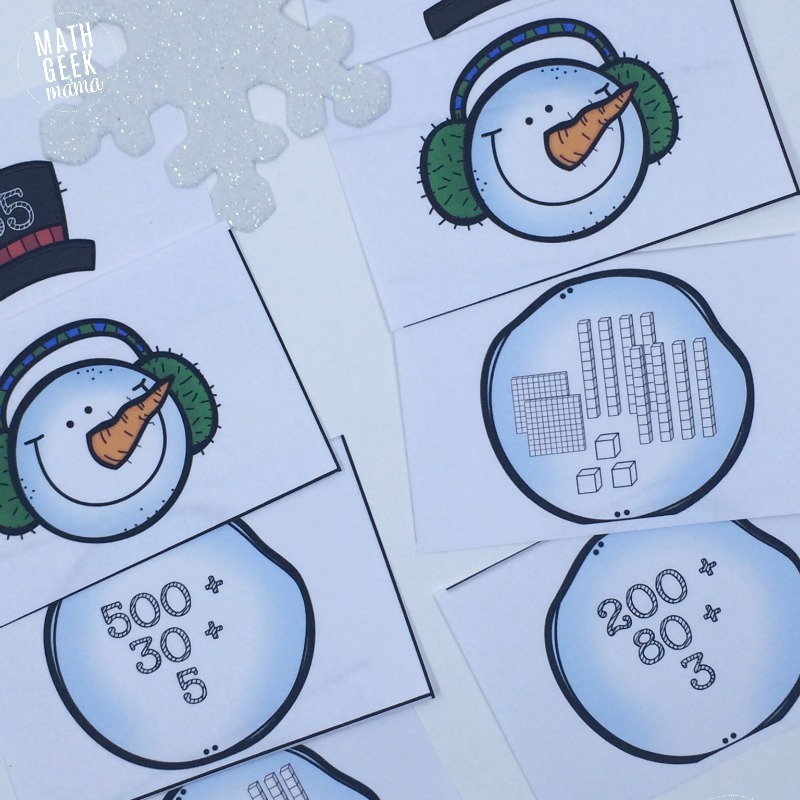 Maybe things will change come January, but for now this silly snowman themed place value activity will have to do! 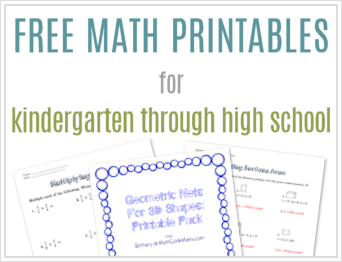 This fun and low prep freebie will help kids explore place value as well as the expanded form of numbers! To make this as easy on you as I could, the snowmen pieces are on cards that you simply print and cut out. 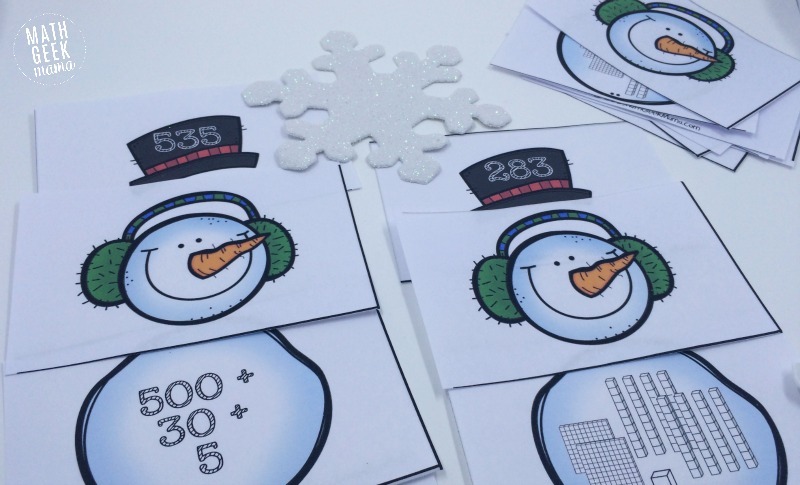 If you wanted to cut out each individual snowman piece, you certainly could, but this way you can just grab a paper cutter , and have it ready to go in about 5 minutes! 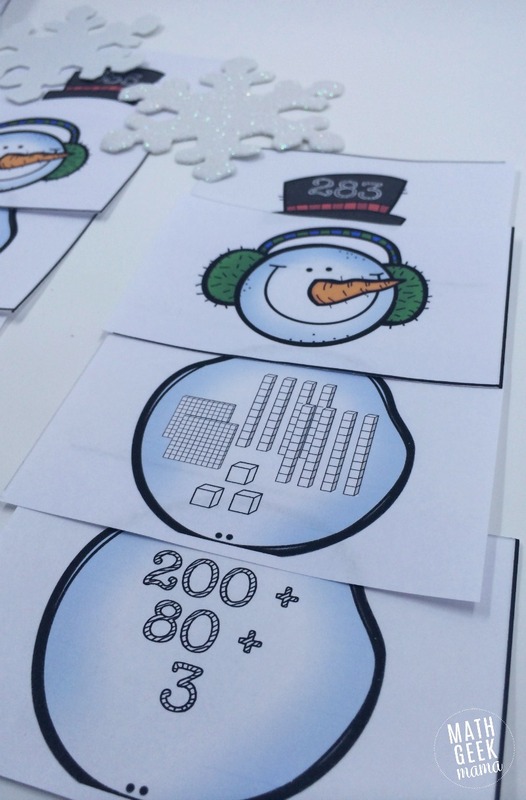 Once the pieces are printed (I would recommend laminating them as well), and cut out, simply mix up the cards and allow your kids to “build” each snowman! Included in this free download are 12 super cute snowmen. Each snowman consists of a head, a hat and two body snowballs. The hat gives the total number, and then students have to find the correct snowballs to match to the hat. 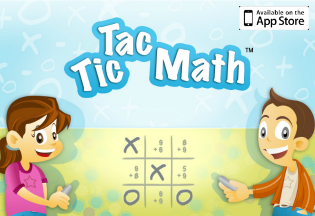 One shows the number in expanded form and one shows the number built with base ten blocks. You could use this as a way to introduce expanded form and start by building what is seen in the picture with actual base ten blocks, and then find the matching pieces from there. 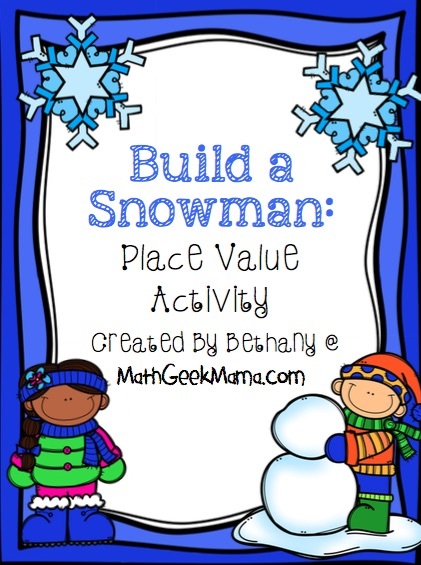 However this works best, I hope your kids enjoy this fun, snowman themed place value activity! That’s great! Thanks for letting me know Wendy!